Google’s new phones, the Nexus 6P and Nexus 5X, support rapid or fast charging via USB Type-C and are capable of grabbing hours and hours of juice in just a few minutes of being plugged in. Unfortunately, this is not Qualcomm’s Quick Charge 2.0 or 3.0 technology, so all of the current QC 2.0 chargers you have been accumulating over the past year or so are basically going to be useless, at least in a fast charging sort of capacity. We hadn’t written about this situation until now because we were waiting until we had the devices in hand to put them through proper testing. 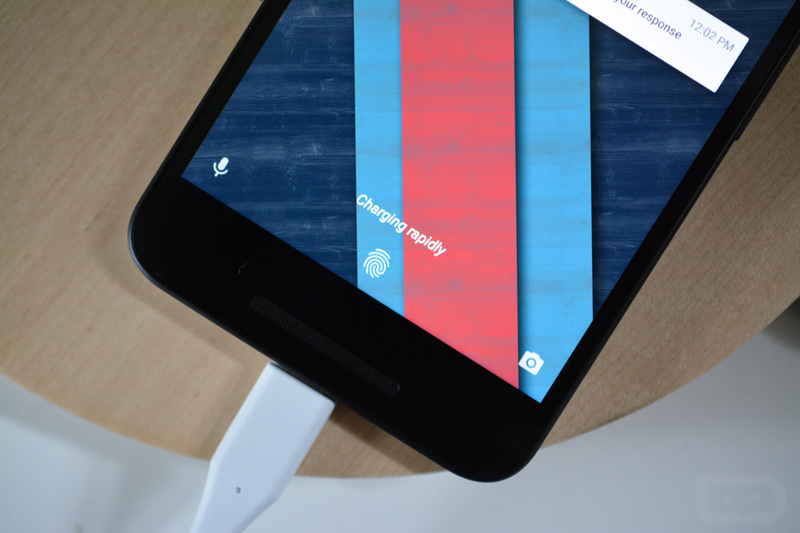 Google has remained mostly silent on this charging topic, so we really had nothing to go on until we could test them ourselves. With that said, we now have them and have done some preliminary testing that probably won’t excite you. While Google announced that each phone would charge quickly via USB Type-C, many of you noticed that no where on any of their product pages do they mention Qualcomm’s Quick Charge 2.0. That of course was a bit confusing, since each phone includes a Qualcomm processor that certainly could support Quick Charge 2.0. Some of you also noticed that they were including chargers with an odd 5V/3A output that we haven’t really seen to date. In other words, we all had this feeling that things could be bad and that we were all going to need to buy a whole bunch of new chargers in the near future. 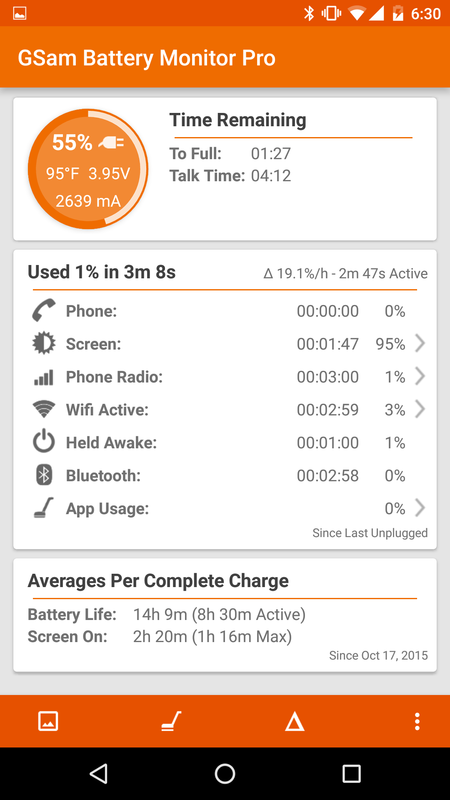 Samsung Fast Chargers (9V/1.67A): Will charge both the 6P and 5X, but won’t rapid charge either. Tested with a USB Type-C to USB A cable from Google. Motorola “TurboPower 15” (5V/1.6A, 9V/1.6A, 12V/1.2A): Will charge both the 6P and 5X, but won’t rapid charge either. Tested with a USB Type-C to USB A cable from Google. Aukey QC 2.0 Powerbank (5V/2.1A): Will charge both, but won’t rapid charge either. Obviously, none of these chargers are 5V/3A, so the results here aren’t all that surprising. It is a bit odd that those last two chargers are registering as “charging rapidly” on the phones. Since I don’t have tools that would test the actual output there, through each of the Nexus phones, I’m sort of assuming that it’s not the full wattage that you would get when charging with the official 5X or 6P adapters. And if that’s the case, you probably won’t see the full “3.8 hours of use in 10 minutes of charging” on the 5X or “7 hours of use in 10 minutes of charging” on the 6P. At this point, if you want fast charging, you are sort of stuck buying Google’s official 5V/3A (15W) USB Type-C chargers from Google Play, which of course, are sold out. The problem gets worse, though, when you look and realize that Google isn’t even selling a car charge of any type. Like I said, though, the Tronsmart car charger above does register as “charging rapidly,” so that could be a decent option until someone makes a real 5V/3A charger. Tronsmart has also told us that their new Quick Charge 3.0 adapter supports 5V/3A and so it could be an option. Anyways, those are our initial findings, in the most generic of forms. Update: I see many of you want to see the current that each charger is pushing. Will update post once I’ve run the phone down again. 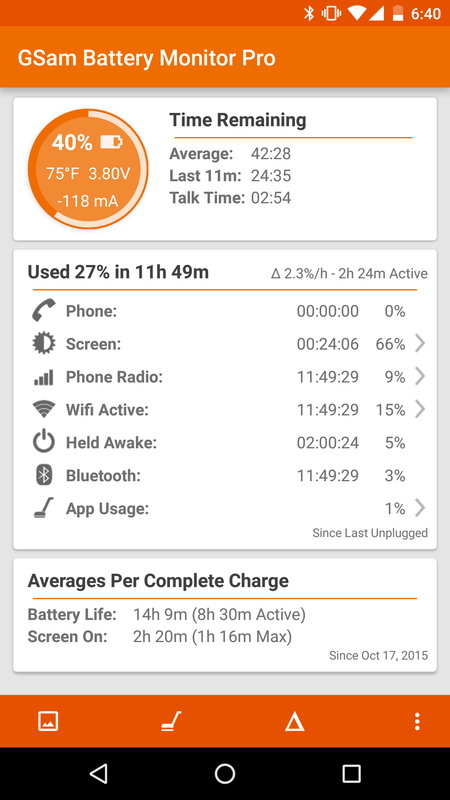 Update 2: OK, so here are some numbers that were tested between 55% and 65% battery. First screenshot is my phone sitting idle using 279mA. Second is the official LG USB Type-C charger that came with the phone, reaching a max of 2639mA. Third is an Aukey QC 2.0 PowerBank with a Type-C adapter, reaching a max of 1226mA. Fourth is an original Motorola Turbo Charger with an official Google USB Type-C cable plugged in, reaching a max of 1197mA. Fifth is a Hikeren Thunder Charge adapter that claims to be 5V/3A, with a Google Type-C cable, reaching a max of 1962mA. Sixth is a Samsung Fast Charger with a Google Type-C cable, reaching a max of 1845mA. Last is a Tronsmart Type-C car charger, reaching a max of 1833mA. I hope these numbers help on some level to show that the USB Type-C 5V/3A charger that comes with the Nexus 5X definitely seems to be the fastest. Still, some of these other chargers might do the trick on a fairly quick level as well. Update 3: Last one for me, then it’s on to the engineers to try and give you even more clarity here. This morning, I started my phone at 40%, gave each charge up to 2% charge, grabbed a screenshot, then wound them back to 40% to do the next charger. Here are the results. My general conclusions are that it’s pretty obvious that the LG official 5V/3A USB Type-C charger that comes with the Nexus 5X pushes the most current and should then charge the phone the best and fastest. That’s no shocker of course, because it’s the official charger. In this latest round of results, though, I did see the Tronsmart car charger almost equal it in terms of output. At this point, I would say, stock up on Google’s official chargers if you can or make due with the chargers you have lying around your house, even the QC 2.0 chargers, because they will still charge your phone. We should see more of these Type-C 5V/3A chargers before long and this period of time where there is a bit of confusion will soon be behind us. Maybe.